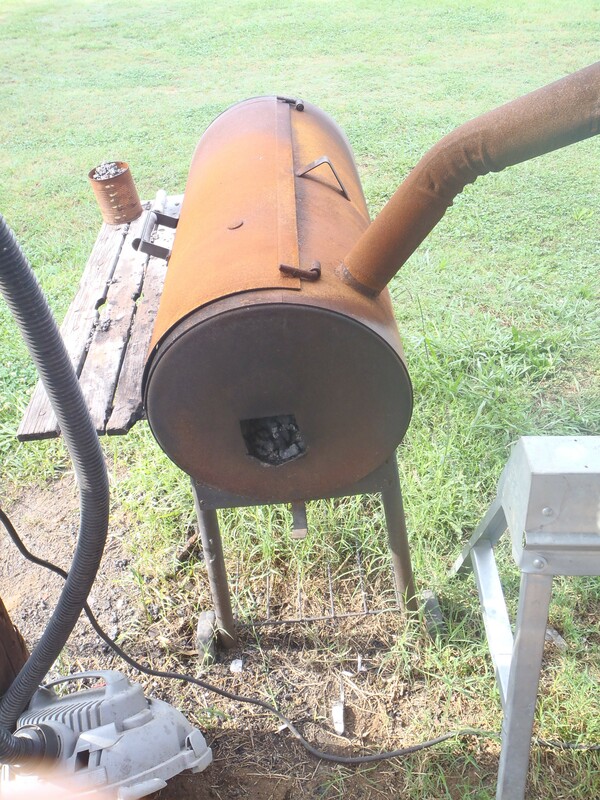 Building the trench forge, and a dirt cheap clay recipe. -1 20lb Bag kitty litter (the unscented bentonite clay kind) is barely covered with water in a wheel barrel. – Once about half the standing water is soaked up or evaporated. Then add about equal parts wood ash and kitty litter to the mix until it’s to the desired consistency. For a single layer about an inch that’s something that clumps together in your hand without crumbling. This mixture should to cure very slowly. I would apply it in about one inch thick layers around firebricks letting them dry 24-48+ hours in between. I used a heater and halogen light at night because it was getting into the high low 60’s. I’d check on each layer to keep the outermost “skin” moist. The goal was to avoid lots of steam from the inside escaping and cracking a dry outside. After many layers were applied I waited maybe just over a week with 75-degree heat and air movement. Then I built a small wood fire in my new forge. I built it up to a nice sized fire taking up the whole forge over a few hours and then let it burn HOT for half an hour before letting it slowly cool. I used coal in the forge, but wasn’t really happy with it compared to charcoal. I may try it again with coked coal now that I have a nice supply. The PVC goes to a steel pipe. The end can be used or the lid can be opened. I’ve actually loaded a lot of wood on top of charcoal. 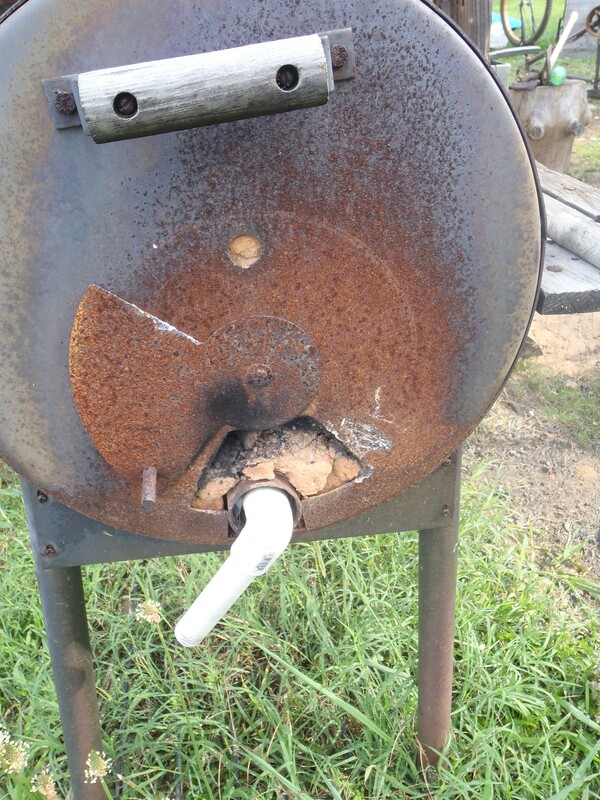 The heat with out a lot of O2 (with the lid closed) can allow for charcoal production while forging. But sap is something to consider with green wood.. And be CAREFUL when opening the lid us a fire rake or pair of tongs, the flames will flare up. The entire leangth of the forge can be used or clay can also be used to block off air holes in the pipe. 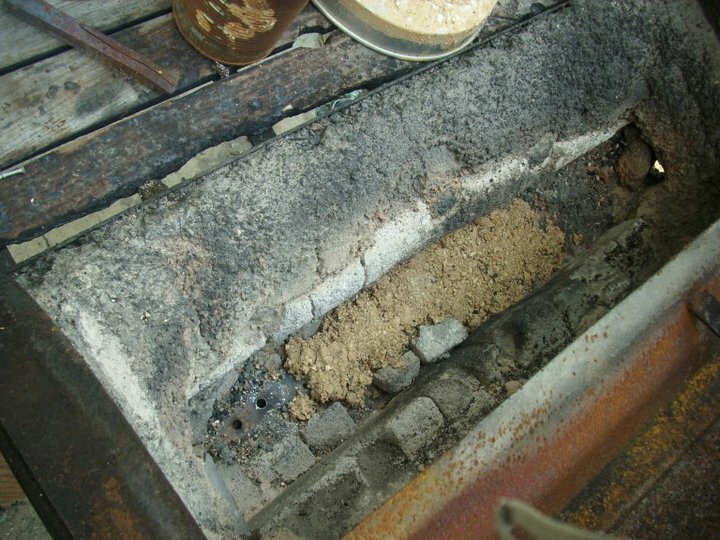 A tip with all clayed forges used with coal is to leave a thin layer of ash in the forge, or even apply a layer mixed with very little water. 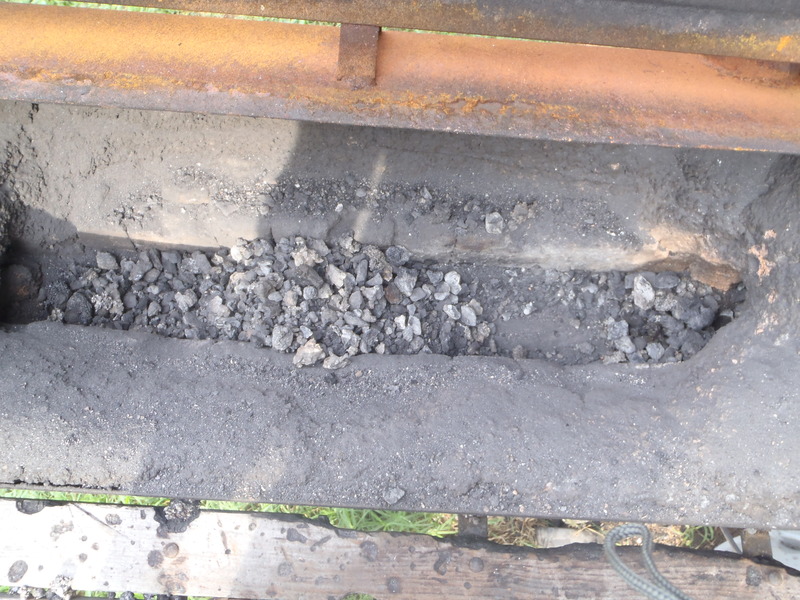 This will help prevent clinker from bonding with the clay. Instead it bonds with the ash. Hardwood charcoal or bamboo charcoal are what I prefer to use n the trench forge. But coal can be used in a pinch. 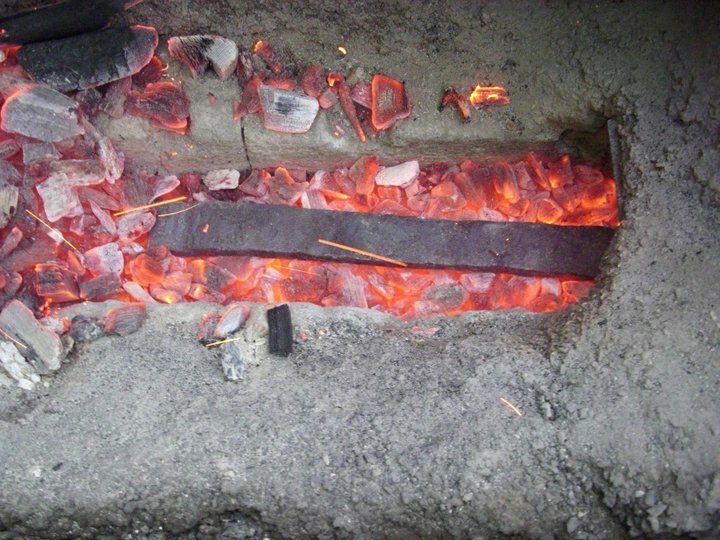 Clay when used in bladesmithing for heat treatment. I went on a quest to find out the science of how clay hardens… Instead I found debate! I’ve been introduced to some new vocabulary that is very interesting: Sintering.